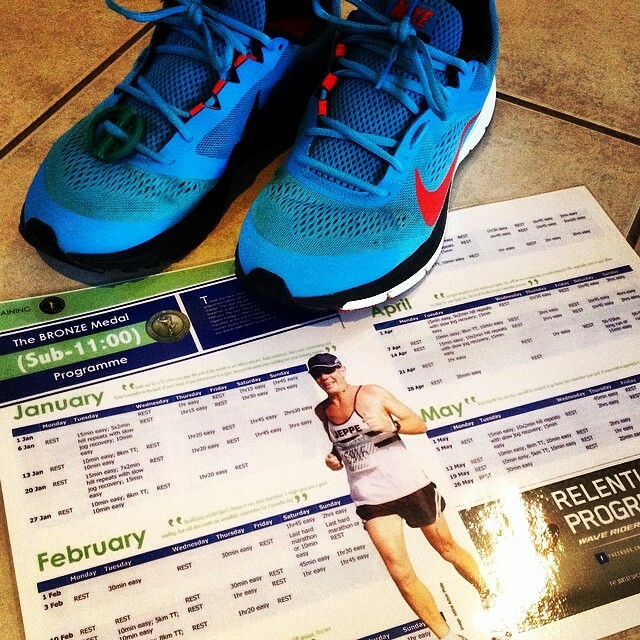 This entry was posted in My Engineer and tagged commitment, Comrades, Comrades 2014, Comrades Marathon, dedication, goals, training, training schedule, up run by Bo. Bookmark the permalink. I like the idea of printing and keeping the training program close. I think I need to do that if I want to improve my running for my next goal. I’m sure all his hard work will pay off! Hope to see you there! You know the one thing I have learnt in two years of running is how disciplined, committed and focussed all runners are (including you). Never underestimate the training that has gone in to every finisher. Good luck to KK for the Comrades & I look forward to his guest post on the race itself ;). Please share a little more about the core training and whether KK has found it to be beneficial. A positive attitude makes a huge difference! And he has that!